Is modern technology hindering our health? Last week The Guardian newspaper published an article entitled “Why Exercise Won’t Save Us” about our modern movement habits; how our sedentary lifestyles are killing us. The crux of the article explained that due to our more modern lifestyles and use of technology, on a day to day basis we are moving less that our grandparents ever did. The author uses the example of cleaning a rug to demonstrate. In the early 1900s and even up to the 1950s, in order to clean a rug we would have had to lift it up, take it outside, hang it on something and then beat the dust out of it. Then with the rise in home vacuums we only had to run it over a few times and job done. Some of us today even have robot vacuum cleaners. All we have to do is programme a time while we’re at work and the little robot sets to work, hoovering the entire floor before you’ve even returned home from work. Now, I’m not saying we’re all lucky enough to have robot vacuums, but you can see where the shift is going. With modern technology we don’t need to move or even walk as much as our ancestors did, and exercise in short bursts may not be enough to compensate for our sedentary lifestyles. So, what can we do to ensure we are getting enough movement between our workout sessions? 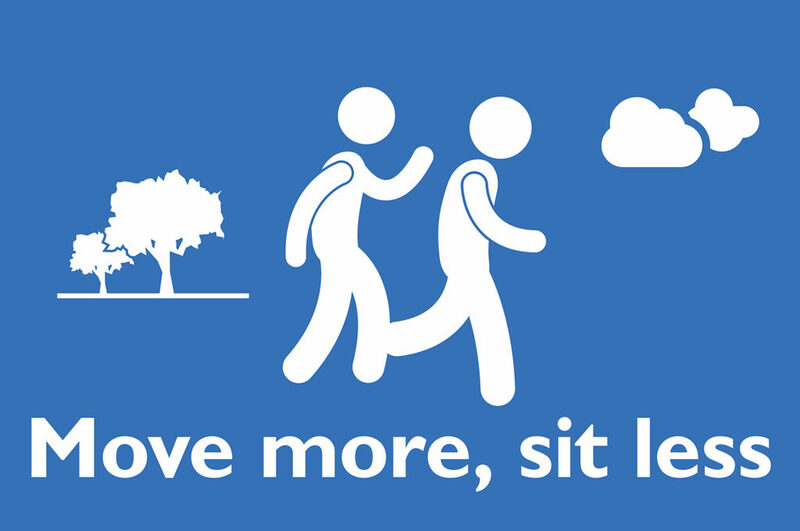 We’ve pondered this over the last few days in the office and today, we’re sharing a few simple tips to keep us moving. Triggers – Placing a piece of equipment in your sight might trigger you to do some movement. For example, you could place a terra band on the arm of your couch which could work as a reminder to use it while watching the tv. Creating habits with certain activities – You probably boil the kettle at least once a day, so why not try doing 20 calf raises while you’re waiting for it. Doing something the traditional way – Instead of always relying on technology, try doing some activities the more traditional way. Why not wash the dishes by hand every second night, instead of using the dishwasher. Ad breaks – probably the simplest and the one you’re most likely to do. When the ads come on the TV just stand up and move around. Or stay seated and do a few small movements like ankle rotations. Walking on the Phone – while you’re having a conversation with your kids or your sister, trying moving around the house. Now, being realistic we know these suggestions might be taken up for one week, but the important thing to remember is, we need to keep moving as much as possible!